For the university, see Salve Regina University. The Salve Regina (from Latin: Hail Queen), also known as the Hail Holy Queen, is a Marian hymn and one of four Marian antiphons sung at different seasons within the Christian liturgical calendar of the Catholic Church. The Salve Regina is traditionally sung at Compline in the time from the Saturday before Trinity Sunday until the Friday before the first Sunday of Advent. The Hail Holy Queen is also the final prayer of the Rosary. The work was composed during the Middle Ages and originally appeared in Latin, the prevalent language of Western Christianity until modern times. Though traditionally ascribed to the eleventh-century German monk Hermann of Reichenau, it is regarded as anonymous by most musicologists. Traditionally it has been sung in Latin, though many translations exist. These are often used as spoken prayers. Marian antiphons have been sung, since the thirteenth century, at the close of Compline, the last Office of the day. Peter Canisius (d. 1597) noted that one praises God in Mary when one turns to her in song. Liturgically, the Salve Regina is the best known of four prescribed Marian Anthems recited after Compline, and, in some uses, after Lauds or other Hours. Its use after Compline is likely traceable to the monastic practice of intoning it in chapel and chanting it on the way to sleeping quarters. It was set down in its current form at the Abbey of Cluny in the 12th century, where it was used as a processional hymn on Marian feasts. The Cistercians chanted the Salve Regina daily from 1218. It was popular at medieval universities as evening song, and according to Fr. Juniper Carol, it came to be part of the ritual for the blessing of a ship. While the anthem figured largely in liturgical and in general popular Catholic devotion, it was especially dear to sailors. 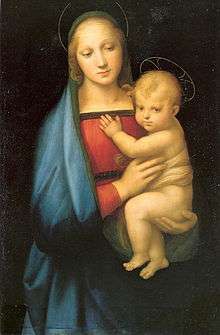 In the 18th century, the Salve Regina served as the outline for the classic Roman Catholic Mariology book The Glories of Mary by Alphonsus Liguori. In the first part of the book Alphonsus, a Doctor of the Church, discusses the Salve Regina and explains how God gave Mary to mankind as the "Gate of Heaven". It was added to the series of prayers said at the end of Low Mass by Pope Leo XIII. The Salve Regina is traditionally sung at the end of a priest's funeral Mass by the decedent's fellow priests in attendance. As a prayer, it is commonly said at the end of the rosary. ℣ Ora pro nobis, sancta Dei Genitrix. Omnipotens sempiterne Deus, qui gloriosæ Virginis Matris Mariæ corpus et animam, ut dignum Filii tui habitaculum effici mereretur, Spiritu Sancto cooperante præparasti: da, ut cuius commemoratione lætamur; eius pia intercessione, ab instantibus malis, et a morte perpetua liberemur. Per eundem Christum Dominum nostrum. Variations exist among most translations. Almighty, everlasting God, who by the co-operation of the Holy Spirit didst prepare the body and soul of the glorious Virgin-Mother Mary to become a dwelling-place meet for thy Son: grant that as we rejoice in her commemoration; so by her fervent intercession we may be delivered from present evils and from everlasting death. Through the same Christ our Lord. Amen. O God, our refuge and our strength, look down with mercy upon the people who cry to Thee; and by the intercession of the glorious and immaculate Virgin Mary, Mother of God, of Saint Joseph her spouse, of the blessed Apostles Peter and Paul, and of all the saints, in Thy mercy and goodness hear our prayers for the conversion of sinners, and for the liberty and exaltation of our Holy Mother the Church. Through the same Christ Our Lord. Amen. Hail, Mother of mercy and of love, O Maria! Our life, our sweetness here below, O Maria! And when our last breath leaves us, O Maria! Salve, Regina coelitum, o Maria! Sors unica terrigenum, o Maria! Dulcis parens clementiae, o Maria! As an essential component of the Compline service, the hymn has been set to music by various composers, including Victoria, Palestrina, Josquin and Lassus. Vivaldi, Handel, and Liszt composed their own settings in later years. Schubert composed no less than four versions. Arvo Pärt composed a setting first performed in the Essen Cathedral in 2002. Olivier Latry premiered in 2007 an organ work Salve Regina which reflects in seven movements the lines of the hymn in Gregorian chant. In 1976 the words of the first verse of the Salve Regina were used as a repeating theme in the song Oh What a Circus in the musical Evita, with music by Andrew Lloyd Webber and lyrics by Tim Rice. The 1992 comedy film Sister Act features a performance of the hymn influenced by rock & roll and gospel music. ↑ Lawrence Gushee, "Hermannus Contractus [Hermann der Lahme, Hermann von Reichenau]," in The New Grove Dictionary of Music and Musicians, 2nd edition (2001): "Although the most venerable ascriptions to Hermannus -- the Marian antiphons Alma Redemptoris mater and Salve regina -- have been taken away by most recent scholarship, the true authorship is still, and possibly will be for ever, the subject of controversy." ↑ ""Salve Regina", International Marian Research Institute, University of Dayton". Campus.udayton.edu. 2013-02-27. Retrieved 2014-07-10. 1 2 "Frisk, M. Jean. "Marian Antiphons", the Marian Library, University of Dayton". Campus.udayton.edu. Retrieved 2014-07-10. 1 2 "Carol OFM, Juniper. ''Mariology'', vol.3". Campus.udayton.edu. 2013-02-27. Retrieved 2014-07-10. ↑ "Salve Regina". Preces-latinae.org. Retrieved 2014-07-10. 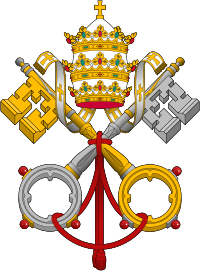 Wikimedia Commons has media related to Salve Regina. Latin lyrics sung by the Benedictine Monks of Santo Domingo de Silos.